Vengeance comes to Marvel's Agents of S.H.I.E.L.D. this fall at 10 pm! Gabriel Luna (True Detective, Matador) will roar into the lives of Agent Coulson and the team, as Robbie Reyes the unstoppable Ghost Rider, which was revealed today at Comic-Con International in San Diego. Here's what Executive Producer/Head of Marvel Television Jeph Loeb had to say in a statement about Season 4. "Season 4 will unquestionably be the series' biggest, most ambitious story yet, and it all begins with the introduction of one of our greatest legacy characters in Ghost Rider. When the Spirit of Vengeance rides into S.H.I.E.L.D., it'll change everything." There had been numerous rumors about Ghost Rider's presence in Season 4 of Agents of S.H.I.E.L.D., but nothing was confirmed until now. It isn't known if Gabriel Luna will be a series regular in Season 4, or when he may make his debut. The Ghost Rider announcement was made during the show's annual Comic-Con panel today, where the cast and producers unveiled Ghost Rider's new car at the Marvel booth on the convention floor. Marvel's Agents of S.H.I.E.L.D. is executive produced and co-created by Joss Whedon (Marvel's The Avengers, Buffy the Vampire Slayer) and Jed Whedon & Maurissa Tancharoen, (Dollhouse, Dr.Horrible's Sing-Along Blog). Jeffrey Bell (Angel, Alias) and Jeph Loeb (Marvel's Jessica Jones, Marvel's Daredevil) also serve as Executive Producers. Marvel's Agents of S.H.I.E.L.D. is produced by Marvel Television and ABC Studios. Marvel's Agents of S.H.I.E.L.D. returns Tuesday, September 20 in its new timeslot, 10:00 PM ET on ABC. For more information on the series and the other exciting Marvel Television stay tuned to Marvel.com, plus follow @AgentsofSHIELD on Twitter and like Marvel's Agents of S.H.I.E.L.D. on Facebook for all the latest news and updates. 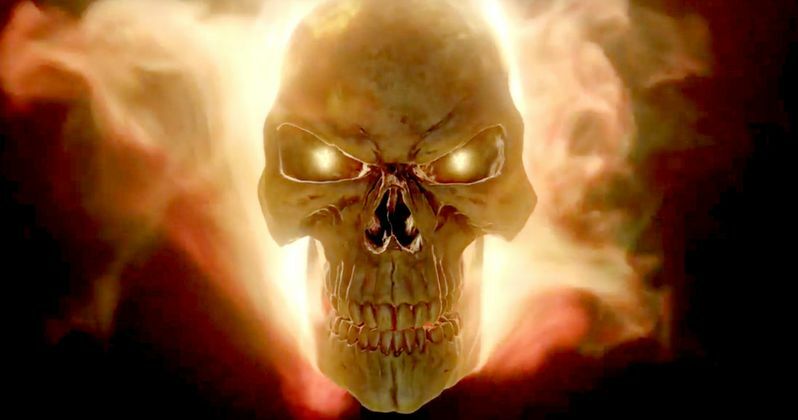 Take a look at the promo announcing Ghost Rider, along with new Season 4 artwork from Comic-Con and the video where Ghost Rider's car was unveiled.